Participation in the online sports wagering, fantasy sports, casino games and pay for play tournament games (collectively the "Gaming System") is open to residents of legal age in a jurisdiction of residence, where the Gaming System is not prohibited. Employees of TopBet (the "Company"), its licensees, distributors, affiliates, and subsidiaries are not eligible to participate in the Gaming System. A person who participates in the Gaming System is hereafter called "Player" or "Customer". Player becomes party to the terms and conditions specified by TopBet and agrees to abide by these terms and conditions, including any revisions which may periodically take place. At least once a month, Player agrees to review the terms and conditions on the web site. The Games are subject to the laws and regulations of the nation of Curacao. Player fully understands the standards and laws, as such standards and laws relate to the Gaming System, of the community/legal jurisdiction where he/she is resident. Player has the complete and unrestricted legal right to participate in the Gaming System. Player's participation in the Gaming System is not prohibited by any government with proper jurisdiction. Player has reached the age of 18 or the legal age of majority in his/her jurisdiction, whichever is greater. Player shall not allow any other person or third party; including, without limitation, any minor, to use or reuse Player's account, accept any prize, or participate in the Gaming System. Players are forbidden from creating multiple accounts. Multiple accounts with the same name, address or IP address shall be considered one and the same. If it is determined that multiple accounts have been created, TopBet reserves the right to confiscate any winnings incurred throughout the duration of the registered account(s) and all sports wagers will be void. Accounts Open in Our Discretion. We reserve the right to suspend, disable or terminate your Account at any time in our sole discretion. Unless otherwise required or directed by the Gaming Commission in accordance with the relevant provisions of the Regulations, all decisions regarding the opening, maintenance and closing of Accounts rests with us and any decisions we take regarding any aspect of the Software, your participation in or the playing of the Games or any aspect of an Account is final. Information the Player acknowledges and agree that the Company may confirm the accuracy of any information that was submitted, with the use of a Third-Party Verification services to authenticate the account information and identity of a Player. A Player acknowledges that the Company performs random security checks to maintain a high level of security to protect a Player’s funds. The Player hereby accepts that the Company maintains the right to demand additional documentation in order to verify his personal information, as the account holder in the event of a said security check. If a Player provides personal information, and is unable or unwilling to provide documentation to confirm his personal details, and if the Company is not able to confirm the Player’s identify, the Account may be terminated. Any, and all activity within the time that the Account was open, up to the point when it was deemed invalid/unverifiable, shall be considered null and void. All winnings, pending wagers as well as pending withdrawals will be forfeited. To deposit funds in your Account you must first supply such information as is required, which will depend upon the method of payment that you select for making the deposit. Once you have supplied the required information, you will be able to make a deposit request from the cashier page of your Account. We reserve the right to place a limit on the amount of funds that you will be able to deposit at any time at a level that we may determine at our sole discretion. You may request that this deposit limit be altered by contacting our Customer Service team at 1-888-998-9045 or [email protected]. During the Account true process, the Company may offer an application designed for attempting to limit deposits made by a Player within a particular time period, as determined by the Player. As there are multiple options in which a Player may make a deposit(s), no representations whatsoever are made as to the effectiveness of such application. The Player therefore accepts sole responsibility for all deposits made with Company, regardless of any pre-selected deposit limitation. Neither the Company, nor any of its service providers, shall be under any obligation to accept a Player’s deposit request, and the Company shall notify the Player, if the deposit request is rejected. If a Player’s deposit is accepted, the Company shall ensure that funds equal to those specified in the Player’s deposit request is credited to the Player’s Account within a reasonable period of time. If a deposit is disputed (or “charged back”) or is otherwise uncollectible for any reason, any and all winnings generated from play or bets conducted in such Account from the time of the applicable deposit until its reversal or failure of collectability shall be invalidated, forfeited and deducted from a Player’s Account balance. In addition, the amount of the initial failed deposit will be invalidated, forfeited and deducted from the Account balance. In the event that, following such deductions, a Player’s Account balance resulted in a “negative balance”, he expressly acknowledges and agree that such negative balance shall constitute an incontestable debt payable by the Player to the Company, due and payable immediately. A Player also expressly acknowledge and agree that, in the event of non-payment of such debt, we may assign such debt to one or more collections agencies, who shall have the legal right to pursue such assigned debt using any or all available legal remedies. Player's participation in the Gaming System is personal and not professional. TopBet reserves the right to limit steam plays and wise guy action. Use by players of external player assistance programs ("EPA Programs") which are designed to provide players with an unfair advantage over their opponents are expressly prohibited. We define EPA Programs as including computer software and non-software-based databases or profiles (e.g., web sites and subscription services) and we consider access to or the ability to gather data or information on other players by any means that would not be accessible via their own first-hand experience (i.e. observation of game play) to be "unfair". We reserve the right to close Accounts and void any and all winnings in such Accounts if we establish, in our reasonable discretion, the use of an EPA Program. Regardless of whether a Player becomes aware of any such errors, the Company shall not be held liable for payment of any sort which may become due as a result of software, administrative, hardware failure, faults, or technical difficulties. Should a Player fail to fulfill his undertakings under this clause, the Company, or anyone appointed by the Company, shall be entitled to full compensation for all costs, including costs for rectifying the software, that may be referred to the error or incompleteness in question and Player’s commission to notify the Company. A "Dormant Account" is defined as an Account that has not made a deposit, withdrawal, or placed a bet/wager for a period of eighteen (18) months. At eighteen months (or 540 days) of inactivity, the Company will send an email notification to the email address registered to the dormant account, advising that the Account balance will be forfeited, thirty (30) days from the notice. If the Account remains dormant following this notice, a second "FINAL" email notice will be forwarded at 567 days, again advising of the pending forfeiture of Account balance within 3 days. If the Account remains dormant, at 571 days of inactivity, the Account balances are zeroed out. Any dispute arising out of or relating to the Gaming, prizes, web site, client application, TopBet; and/or any e-commerce provider utilized shall be governed by the laws of Curacao, excluding choice of law principles. Players of TopBet are eligible to receive free bonuses from time to time, including a free bonus when signing up and for referrals. Said free bonuses, as to its amount and issuance, shall be subject to the discretion of TopBet and shall be non-transferable and non-refundable. Free Money can only be spent along with real money at a pre-determined ratio set by the casino and sportsbook manager. 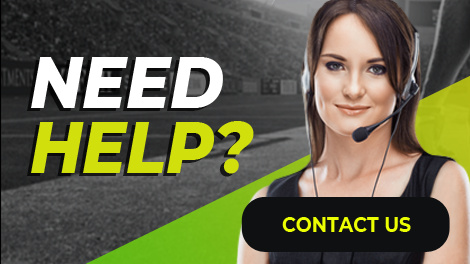 Please consult the Help Section of the TopBet website or contact our Customer Service team for specific bonus rules. Any amount withdrawn by the Player shall be forwarded to the Player pending the results of satisfactory anti-fraud and anti-money laundering screening processes. We reserve the right to request additional forms of identification before sending a withdrawal. If a withdrawal is made before the Terms Conditions are met, all withdrawals will be canceled. TopBet shall reserve the right to suspend or withdraw any game at its' absolute discretion. All personal details of all users will be held in confidence unless users agree to their identities and details being used for future publicity purposes. In the event of the cancellation of any game for any reason, TopBet will not be liable. These Terms and Conditions constitute the entire Agreement and understanding between TopBet and the Player. In the event of there being a discrepancy between the English language version of these Terms and Conditions and any other language version the English language version will be deemed to be correct. Any payout greater than the allowed maximum amount stated on the cashier page is divided and sent on consecutive weeks until the total amount has been delivered. Please refer to the up to date information in the cashier for more details on withdrawal limitations. TopBet will provide one (1) free payout to each account holder. Please contact Player Service for information on fees for additional payouts. By registering for an account and/or participating in any tournament offered on the Site, you acknowledge that all information contained on the Site may be protected, in all forms and media, by one or more valid copyrights, patents, trademarks, trade secrets, or other proprietary rights, and that all such rights are owned by the Site. You may not modify, publish, participate in the transfer or sale of, create derivative works from, or in any way exploit this information, except that you may download one copy for your personal, noncommercial home use only, provided you keep intact all copyright and other proprietary notices. By registering for an account, you agree that the Site may display your user name and tournament records. By accepting any prize from the Site, you agree to allow the Site to print, publish, broadcast and use, worldwide, in any media and at any time, your name, picture, voice, likeness, and/or biographical information for promotional purposes without additional compensation. If you send comments or suggestions, including, but not limited to, notes, text, drawings, or computer programs, to the Site, such submissions shall become, and shall remain, the sole property of the Site. No submission shall be subject to any obligation of confidence on the part of the Site. The Site shall exclusively own all rights to, and shall be entitled to unrestricted use of, all such submissions without compensation to you. The Website and the Services are intended solely for recreational, entertainment purposes. We are committed to ensuring that players have the ability to manage or limit their play on the Website. If gambling is negatively affecting your personal or professional life, please refer to the resources available here to seek counsel or assistance. Within the account registration process, Company may offer an application designed for attempting to limit deposits made by Player within a particular time period, as determined by Player. As there are multiple options in which Player may make a deposit(s), no representations whatsoever are made as to the effectiveness of such application. Player, therefore, accepts sole responsibility for all deposits made with Company regardless of any pre-selected deposit limitation. You have the option of setting your play limits to zero or completely closing the Account if you believe you have a gambling problem. We honor all such directions immediately. Please contact Customer service immediately if you feel that you have a gambling problem. Our team will verify your identity and then close your account. Please note that if you close your account due to a gambling problem we will not re-open it under any circumstance. All account deposits that have not been used and all transactions purchased by the customer on the site may be refunded at the rate of 100% by simply requesting a withdrawal at any time on the withdraw request page of the website. The results of all tournaments offered within the Gaming System depend on the number and skill level of the players participating in such tournaments; precise odds of winning are therefore unavailable. Prizes are generally cash amounts which are deposited directly into winners' accounts. The cash value of prizes offered in Limited Entry Tournaments will be disclosed at the beginning of such tournaments. If a Limited Entry tournament has to close prematurely, such as for maintenance or technical problems, the prize for the tournament will be proportional to how full the tournament was at the time of closing. The cash value of prizes offered in Unlimited Jackpot Tournaments will depend on the number of participants participating in such tournaments, and will not be available until such tournaments have ended. The results and winners of each tournament offered within the Gaming System will be determined by TopBet. By registering and/or participating in any tournament, you agree to be bound by these determinations. In case of a malfunction or disruption of service for which the Gaming System is responsible that prevents you from completing a tournament in which you have begun to participate, the Company will, upon receipt of a refund request, refund the entry fee charged for that unfinished tournament only. The Company reserves the right to determine, in its sole discretion, whether it is responsible for any such malfunction or disruption. The Company reserves the right to limit your tournament play or terminate your account should The Company determine, in its sole discretion, that you have intentionally caused such a malfunction or disruption. The Company is not liable for any potential winnings from any unfinished tournament. TopBet games are played over the Internet which reaches virtually every country in the world. Some of these jurisdictions have not addressed the legality of Internet gaming, while some have specifically made Internet gaming illegal. In practical terms, it is impossible for TopBet to determine the state of the law in every country, state, and province around the world on an ongoing basis. Therefore, by clicking the "I agree" button, you are taking sole responsibility for your internet activity. Should there be any discrepancy in the legality of any transactions between yourself and TopBet, or any of its affiliates, the matter shall be determined by a court of competent jurisdiction in the country of Curacao, which is where TopBet is incorporated and where it conducts business. Any matter to be adjudicated shall be determined utilizing the laws of Curacao. All bets with TopBet are considered to be placed and received in Curacao. All contractual issues between yourself and TopBet, or any of its affiliates, that are disputed, shall be resolved by a court of competent jurisdiction in the country of Curacao. All contracts shall be interpreted in accordance with the laws of Curacao. TopBet also has the right to hold any and all of a player's funds indefinitely if it is found that the player has been involved in fraudulent activity on TopBet. Fraudulent activity may include, but is not limited to, stolen credit cards, transfer of funds to other player accounts (chip dumping), forgery, and collusion. You may only use the Software in accordance with the rules posted on the TopBet site, as may be modified from time to time. In cases where disputes arise between players, you agree that judgments of TopBet are final, binding and conclusive in all matters. All taxes, duties and fees applicable in connection with any money or prizes awarded to a Player are the Player's sole responsibility. Violation of any TopBet policy or rule may result in suspension or termination of the player's TopBet account. The name on your Account must match your true and legal name and identity and the name on your TopBet Account registration must match the name on the credit card(s) or other payment accounts used to deposit or receive monies in your Account. You are prohibited from holding more than one Account at TopBet. If you have more than one (1) Account or Accounts in different names, then you must contact us immediately to have your Accounts managed so that you only have one (1). If you have lost your Account name or password, please contact us for a replacement. All information provided by a player must be accurate and verifiable. If you have provided false information or are unable or unwilling to provide documentation to confirm your information, your account may be terminated and all activity within the account considered invalid. Abusive or offensive language will not be tolerated on the chat boards, Games, or otherwise by a Player on TopBet or with TopBet staff. Violation of this policy will result in suspension of playing privileges, or such other action as may be reasonably required by the Company to ensure compliance. In addition, Players are not entitled to make untrue and/or malicious and/or damaging comments with regard to the Company’s operation in any media or forum. The Company has a zero-tolerance policy towards inappropriate play and fraudulent activity. If, in TopBet's sole determination, you are found to have cheated or attempted to defraud the Company or any other user of any of the Games in any way including but not limited to game manipulation or payment fraud, or if the Company suspects you of fraudulent payment, including use of stolen credit cards, or any other fraudulent activity (including any chargeback or other reversal of a payment) or prohibited transaction (including money laundering), the Company reserves the right to suspend and/or close your Account and to share this information (together with your identity) to other online gaming sites, banks, credit card companies, and appropriate agencies. You agree to hold TopBet, its employees, officers, directors, licensees, licensors, affiliates, and subsidiaries harmless and further agree to fully indemnify them from any and all costs, expenses, liabilities and damages whatsoever that may arise as a result of your breach of this Agreement. Moreover, you understand and agree that (without prejudice to your other rights and remedies) TopBet records shall be the final authority in determining the terms of your participation in the Games, the activity resulting there from and the circumstances in which they occurred. At TopBet's option, a win may be subject to verification by an independent judging organization before any payment is made. Decisions of the judging organization are final, binding and conclusive in all matters. A player's sole remedy for any error or mistake by TopBet in connection with a wager placed on TopBet's system shall be a replacement wager. A Player or group of players working together in any fashion, also known as a syndicate, (to receive either eCash winnings or Activity bonuses) may only have one TopBet account in total, and any redundant accounts will be consolidated into the one account. An administration fee may be charged and payouts refused for each redundant account, at the discretion of the Company. All wagering transactions in redundant accounts are subject to reversal at the sole discretion of the Company. The Company also reserves the right to keep the principle of any wager placed in an attempt to defraud the house of any bonus monies, whether a party does this on their own or in collusion with other players or other sportsbooks. There is no obligation on behalf of the Company to warn players or syndicates of this other than as explained here in the Player Agreement. If you lose your account privileges with TopBet due to misrepresentation, fraud or purchase disputes, the Company reserves the right to terminate a Player’s Account and all transactions from the account in question may be immediately reversed at the sole discretion of the Company. From time to time, the Company may run special promotions, contests, tournaments, and may establish rules and regulations governing the conduct of those promotions, contests, and tournaments. The Company, or a third party shall post these rules on the Internet, and the Player Service Representatives of TopBet shall enforce the rules. Said promotions, contests, and tournaments may be cancelled or suspended at any time without notice by the Company. In the event of an error or omission in the printed rules of a particular promotion, contest, or tournament, the decision of the Company’s Management will be considered final and binding. Bonus programs are intended for recreational bettors only. Professional bettors or bettors considered to be abusing the bonus system by any means, may have bonuses revoked and be subject to further sanctions, at the discretion of the Company’s management. Bonus abuse may be defined as (but not restricted to) clients cashing out for the purpose of redepositing, or referring new Accounts that they are using themselves. Sanctions may be in the form of increased rollover requirements or loss of bonus privileges altogether for the offending account as well as any linked Accounts. The Company takes no responsibility for notifying winners other than to update the information available in the wager account summary statement. The Company reserves the right to refuse payment to anyone that is found to be party to any organized wagering syndicates dedicated to changing and manipulating the odds available on the TopBet website. At the Company’s discretion, a win may be subject to verification by an independent judging organization before any payment is made. Decisions of the judging organization are final, binding and conclusive in all matters. A player's sole remedy for any error or mistake by the Company in connection with a wager placed on TopBet website, shall be a replacement wager. 2. The bonus codes can be used only one time. 3. The bonus codes are not available to existing TopBet customers. 5. Customers need to deposit a minimum of $100 prior to being able to request a payout. 6. All decisions on duration, validity or eligibility for winnings, generated through such bonus codes are final and undispituble. The Company is committed to ensuring that Players have the ability to manage or limit their play on the Website. If gambling is negatively affecting his personal or professional life, he may refer to the resources available here to seek counsel or assistance. A Player has the option of setting his play limits to zero or completely closing the Account if he believes that he has a gambling problem. We honor all such directions immediately. The Company urges a Player to contact Player Service immediately if he feels that he has a gambling problem. The Customer Service team will verify the Player’s identity and then close the account. Please note that if a Player chooses to close the Account due to a gambling problem, the Company will not re-open it under any circumstance.